A traffic management change is currently planned for Sunday the 21st of October overnight (starting at 8pm). This is planned to be in place until the end of February 2019. The change is being put in place to enable District Heating Main works, utilities diversions and the next phase of construction for the final scheme (including footway and carriageway construction). We are sorry for any inconvenience caused and will update you if there are any confirmed changes to the current programme. The Friary, from its junction with the roundabout to the turning into the Temple Quay car park, will remain closed for the duration of the works programme. This will allow deep drainage works to be carried out and heat networks to be installed. Access to the Temple Quay car park shall be maintained via Temple Back East. 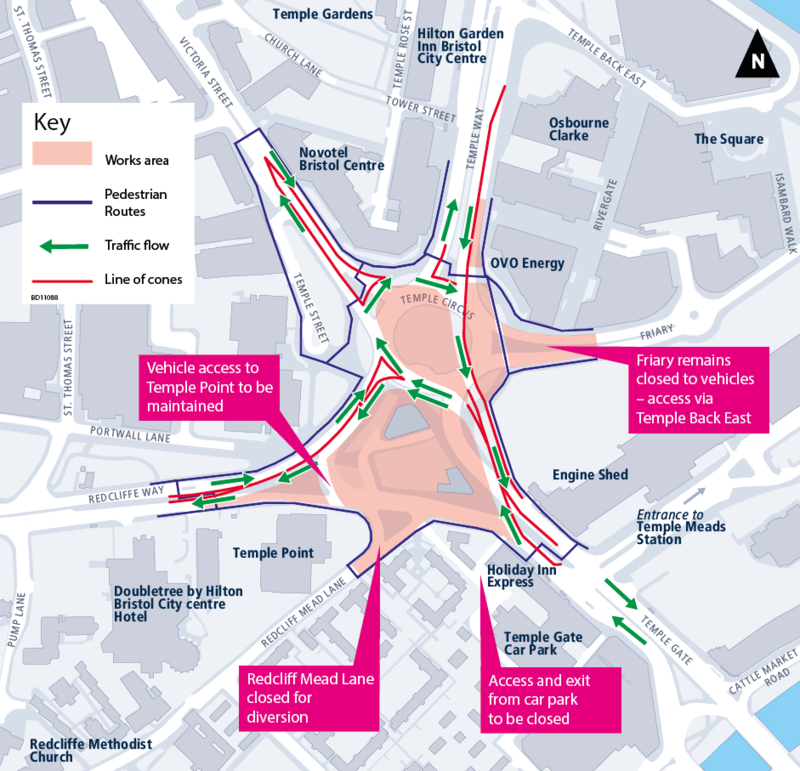 Please note that there will be no impact to the existing access to the Temple Meads Station car park, which is via the Temple Meads approach ramp, and exit from the same will be maintained via the Friary.